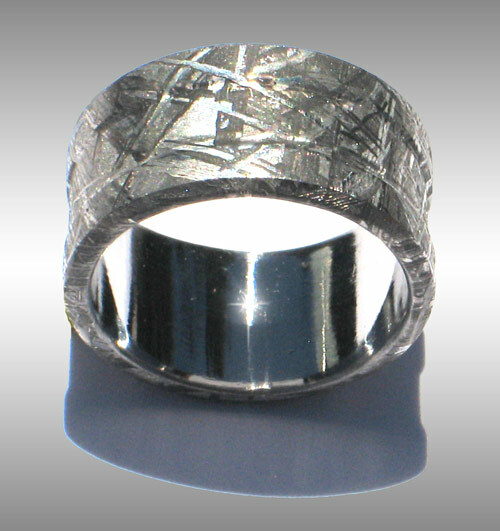 Style #023: Double-railed Gibeon Meteorite Ring with stunning natural Widmanstatten finish. This simple yet elegant men's ring is shown in size 10.5 and 11.9 mm width. Please enquire for current price! Also availalbe in narrower widths!